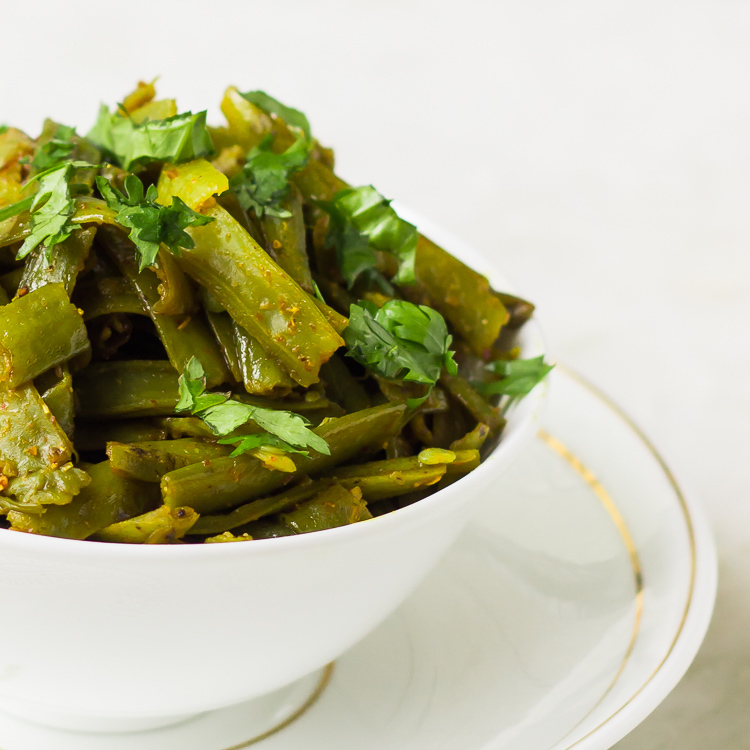 Most people make this cluster bean like french beans with potato – wash them , chop them and cook with potatoes. That’s how even I cooked till that summer, two years ago. What my mom does is, she thoroughly washes and pressure cook these beans, till slightly tender and then pull the strand from the sides for each of them individually. It is a slightly messy and time consuming process as the bean is soft and easily comes apart between your fingers. But it ensures that the beans cook nicely when roasted and while eating you don’t get uncooked thread like strands. So it is worth the action and time required.